During a divorce, the court will resolve any property disputes according to Illinois law. Most people do not like to think about this scenario before they are even married. However, in some situations a person may not want to leave the fate of their property in the hands of the court in case of a divorce. To eliminate this uncertainty, you and your future spouse are free to agree to your respective property rights prior to being married. 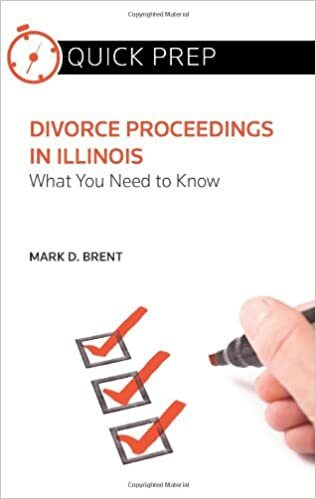 Under Illinois law, a “prenup” is called a “premarital agreement”. Premarital agreements are governed by the Illinois Uniform Premarital Agreement Act (“The Act”). A premarital agreement is a contract that becomes effective upon marriage. Issues that might be addressed by a premarital agreement include: property rights; the maintenance/alimony; the making of a will or trust necessary to carry out the provisions of the premarital agreement; and any other matter as long as it is not a violation of public policy or a crime. Premarital agreements are limited is in regard to child custody and child support. The Uniform Premarital Agreement Act states that a premarital agreement may not adversely affect the right of a child to support. The court also will not be bound by premarital agreements where they involve child custody. A premarital agreement takes effect at the time of marriage, but it is not valid if it was entered involuntarily. If the agreement was the result of coercion or fraud it is unenforceable. A challenge can be made to the validity of a premarital agreement if one party fails to fully disclose the extent of their property prior to entering the agreement. It is critical both parties are truthful about their property, income and liabilities prior to entering into a premarital agreement. If you are considering a premarital agreement, or have been asked to sign one, we would be happy to address any concerns you may have. Our firm’s experience with family owned businesses, corporate law, bankruptcy, real estate, and commercial law gives us a unique perspective on the issues that you may want to address in a premarital agreement.